Since the Hand in Hand Thrift Shop launched in Cobble Hill in February, it has become a popular place for repeat visits from local shoppers and people who like to visit thrift shops on Vancouver Island. Volunteers at the shop decided that they wanted to take part in a local community event and let people know about the shop. So they decided to put together a most elegant scarecrow named Hannah to take part in the Good Old “DAZE” community event in Mill Bay. In the photograph above you can see Hannah after she was finished and stored with her fellow scarecrows – all waiting for their debut. Hannah is wearing a hand sewn dress made in the style of clothing from the turn of the last century. She is a combination of pieces and parts collected and put together by the Hand in Hand team of volunteers. Shirley (shown above) mentioned that they added extra padding around Hannah’s mid section. I immediately thought of all the photo campaigns showing women as they really are rather than “photoshopped” to look much thinner. I think we can all relate to a little bit of padding around the middle. In this sense, Hannah is a truly realistic depiction of a local resident from 100+ years ago who would have been going about her business visiting the Thrifty Foods of her day. 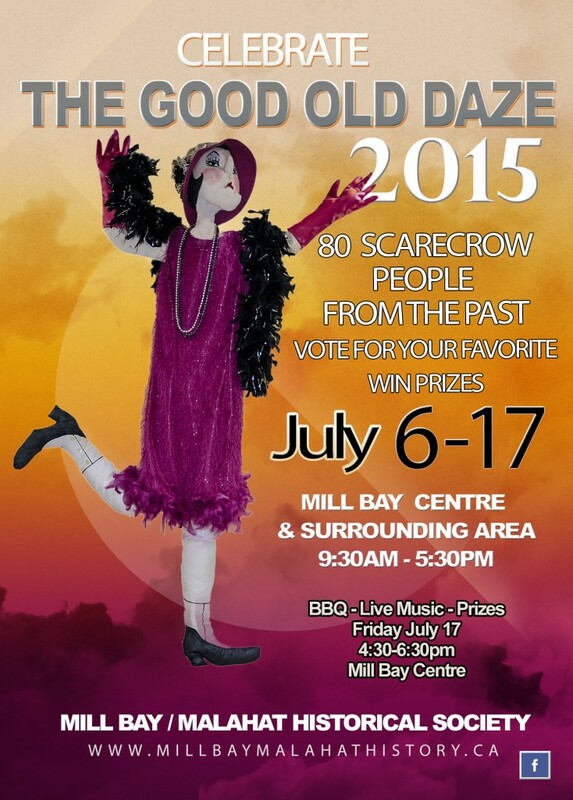 If you would like to see Hannah and her fellow scarecrows, stop by Mill Bay on Vancouver Island from July 6th, 2015 until July 17th, 2015 and take part in the Good Old “DAZE” 2015 celebrations. Starting on July 6th, you will have the chance to see 90 scarecrow “people from the past” who were all made by members of the local community. Voting will be ongoing as visitors vote for their favourite scarecrow. 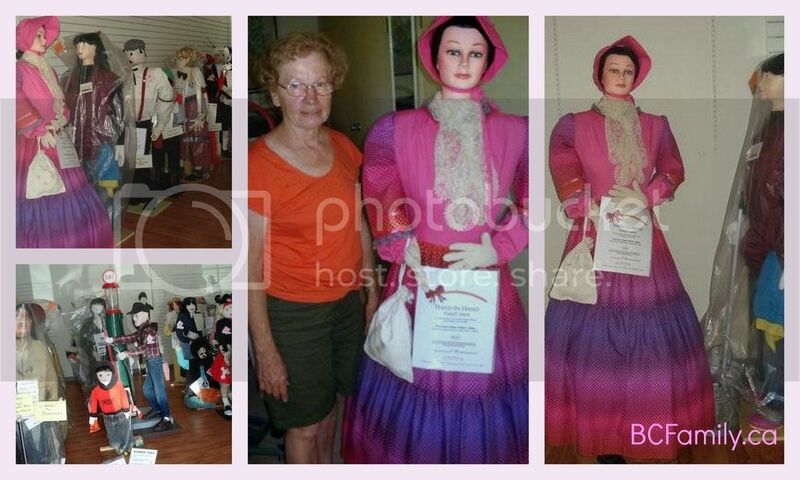 The Mill Bay/Malahat Historical Society will put on the event daily between 9:30 AM and 5:30 PM. On July 17th, 2015, there will be a closing celebration that will include a BBQ, live music and prizes. 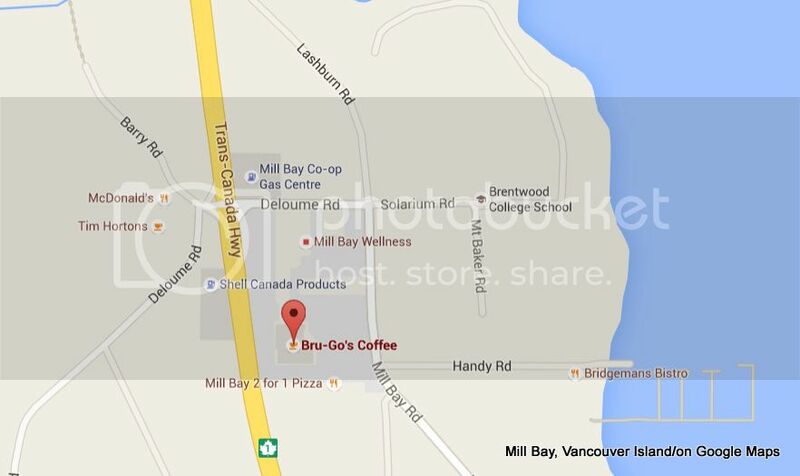 Mill Bay is located on the number 1 highway about a 15 minute drive south of Duncan. If you plan to be going up or down island, why not stop by for some coffee while you take in the local community spirit.